Whether you play Fortnite, PlayerUnknown’s Battlegrounds or Overwatch, you’re going to want as little latency as possible between your hands and the game’s servers. While you can’t really account for how reliable your ISP is, by making a few smart choices you can ensure that your side of the equation is as speedy as possible. Everything from your controller to your keyboard and mouse to your display and router can affect how long it takes for a game to recognize when you put a few rounds at an enemy. It might not seem like a big deal at first, but every millisecond of delay adds up and could mean the difference between that ever-elusive chicken dinner in PUBG and going home hungry. Let’s take a look at a few things you can do to optimize your online gaming experience at home. Internet service providers charge anywhere between $6 and $10 per month (if not more) for using their equipment. If all you’re doing is sending emails and streaming music, the basic modem/router combo from your cable company probably hasn’t caused you too many problems. But if you’re looking to get the fastest speeds possible and save some money in the process, you should buy your own gear. Why? In addition to paying for itself in as little as a year, equipment from companies like Netgear and Linksys is specifically designed to optimize your network performance. 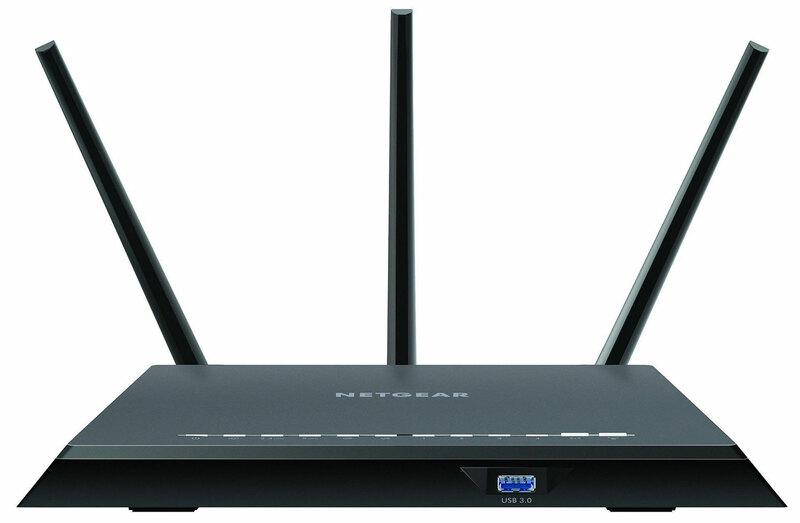 Many modern routers offer features like 5GHz networks and 802.11ac WiFi for operating in environments where there’s a lot of “noise” from other networks (like in an apartment building, for example) that would typically slow down your connection. As a general rule, you should have as many of your devices running a wired connection as possible. But for situations where your router physically can’t connect to your PC or game console, a new router should help close the gap between a wired and wireless connection. More than that, a good router can help you achieve dramatically faster downloads than the speed package you’re paying for. We’re big fans of the Netgear Nighthawk series, which offers great performance on the mid-tier R7000P as well as the entry-level R6700. Both models offer easy setup, impressive range and killer speed boosts. If range and signal strength are issues in your home, you could always pick up a WiFi repeater. Round it all out with a standalone modem like the Arris Surfboard SB6121and you’re on your way to online gaming supremacy. Keep in mind that a modem, however, may not have nearly as dramatic of an impact on your download speeds as your choice in router. If you’re paying for super fast speeds (north of 200Mbps), that could be a different story. In that case, our friends at Wirecutter recommend the Arris SURFboard SB6183, which boasts 16 downstream channels compared with four on the SB6121. If you’re a DSL subscriber, chances are you’ll have to use your ISP’s modem, but if not, the same idea applies as it does for cable internet. As noted above, you should keep all of your network gear wired whenever possible, preferably with CAT5e or CAT6 cabling. The former is more common, though the latter promises less interference if you’re running it over long distances. The wired-only rule of thumb generally applies to your other accessories as well. The advantage of a wired keyboard, mouse and game controller is they’re one less source of potential input lag. In tournament situations, for example, wired gamepads are all that’s allowed. Part of that is to eliminate any potential cross talk between the controller and the console you’re pairing it to in a busy environment. Another reason is to ensure everyone is on a level playing field: wired versus wired. Xbox One gamepads disable their wireless radios when you plug them into Microsoft’s console (or a PC) with a micro-USB cable, and a few tournament-level PS4 gamepads are wired only. With keyboards and mice it’s a slightly different story. 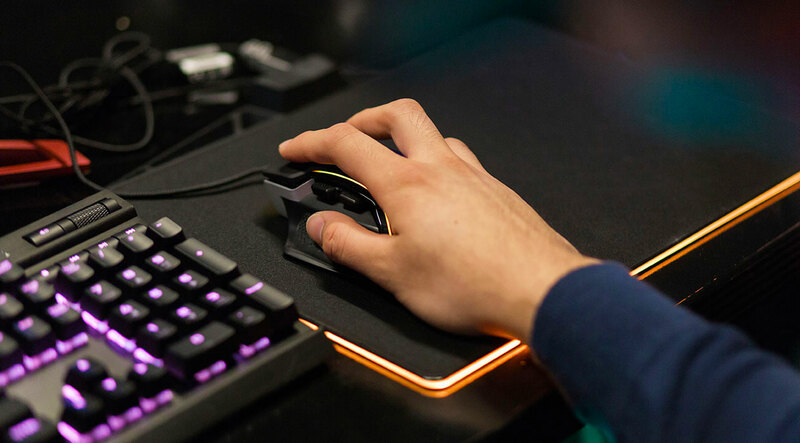 We’ve seen a handful of products that claim low-to-zero input lag, and in general, wireless accessories are more convenient to use — mice especially. If you go with something like Logitech’s G903 model, it comes with an available charging mat, so you won’t have to worry about changing batteries ever again either. As with routers, you should look for something that can run on the less busy 5GHz frequency if you’re in the market for new gear. Routers like Netgear’s Nighthawk line offer customizable settings to ensure your PC and consoles get bandwidth priority over others on your network. It’s usually just a matter of turning the features on. 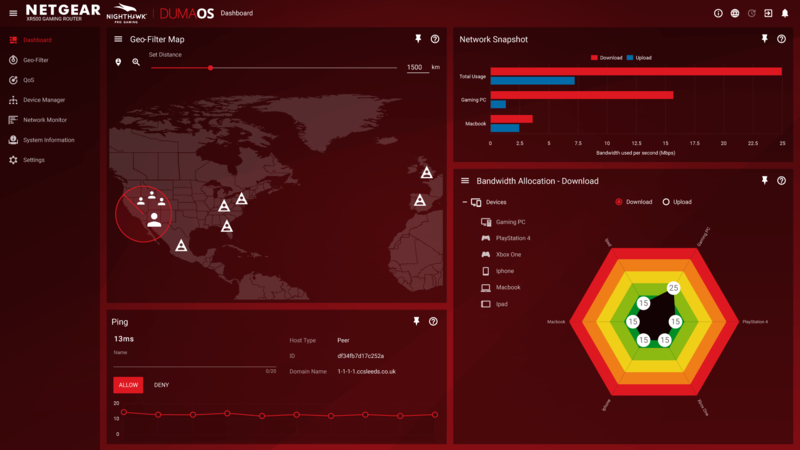 Once you’re logged into your router, look for something called QoS (quality of service). Set whichever console or computer on your network you want to have top priority over everything else, and the router should do the rest. If not, you might have to set a static IP address for your device of choice and then set the priority level. This will ensure that no matter if you have a roommate watching Netflix in 4K UHD, your PC, PlayStation or Xbox will take precedence. The WRT32X gaming router from Linksys enables these settings by default, and if you’re an Xbox fan, it has a router specifically made to prioritize the data coming in and out of Microsoft’s latest console. You can also set up port forwarding, which will affect your NAT type. Ideally, your NAT will be wide open, which will allow your router to open a hole for communication to the internet. Port forwarding has become less common, but in a lot of cases the settings are necessary if you want to be the host in an online game or if you’re having issues with text or voice chat while playing. It can be like reading Greek if you aren’t accustomed, but thankfully there are resources online that can walk you through the process. If you’re feeling particularly industrious, you could also install custom firmware on your router. Ultimately, most people won’t need the types of control that customization offers, but the option’s there if you want it. Also, make sure your router’s firmware is up to date. This will not only safeguard you from any potential security holes but also ensure you’re using the most optimized software available. Where you’ll find a big boost in speeds is by applying Google’s DNS settingsto your network. Rather than using the domain name servers provided by your ISP through the Dynamic Host Configuration Protocol (DHCP), you should take a few minutes and apply Google’s instead. You can do it on a per-device basis if you want, but applying them in your router’s setup page should work as well. Several Engadget staffers noticed a twofold increase in their downloads via PS4’s built-in network test. In fact, Fortnite developer Epic Games recommends using Google’s settings to ensure the best experience, in case you needed more convincing. 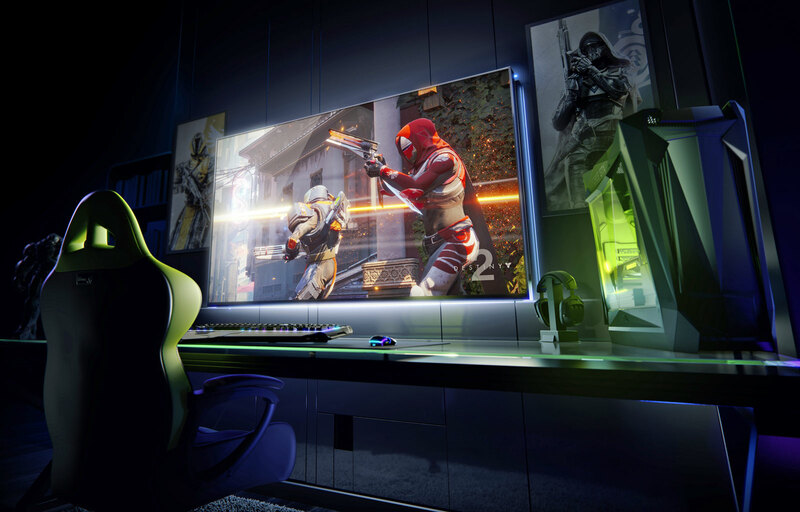 Yep, even your monitor or TV can have an impact on your gaming performance, in a few different ways. In general, if you’re looking for a display solely for gaming, you want one with the lowest input lag possible — ideally under 30 milliseconds. New TV features like HDR and 4K resolution might wow you on the showroom floor, but once you hook a console or PC into them, the extra processing those picture features require can cause response time to swell. Whether you’re choosing OLED or LCD (it’s going to depend on personal preferences), make sure once your display is out of the box and plugged in that you change it to “game mode” in the settings. This disables processing that might make a UHD Blu-ray or Netflix stream look closer to the director’s intent while dramatically decreasing input lag. To illustrate how important this is, Microsoft recently issued an Xbox One patch that automatically engages game mode on compatible TVs. For PC gamers, it’s a little different. Most times, you’re using an LCD monitor situated a few feet from your face. LCDs inherently have lower input lag than OLED, but the trade-off is dealing with refresh rates. Some high-end monitors support 240Hz, others only 144Hz or 60Hz. That means they’re capable of handling frame rates between 60 FPS and 240 FPS. Lower frame rates mean your machine isn’t drawing a given scene as quickly, and someone with a faster monitor might get the jump on you while you’re moving the payload in Overwatch. A 240Hz monitor might get you the highest frame rate and may get you faster response times. However, the bottleneck to performance is your graphics card. So sure, while 240 FPS sounds positively droolworthy, the amount of power needed to match it at 4K would be pretty absurd. Instead, maybe opt for a 1440p monitor and fool around with your game and GPU settings to find the sweet spot that gives you maximum frame rate and visual fidelity. There’s a lot to consider when you’re optimizing your setup for online gaming. Each choice can shave off (or add) time between when you press a button on your controller or keyboard and when the servers recognize what you did. With a little work and some research, though, you can improve your experience pretty easily. Have any tips and tricks we might’ve missed? Leave them in the comments below and they could end up in a future version of this article.